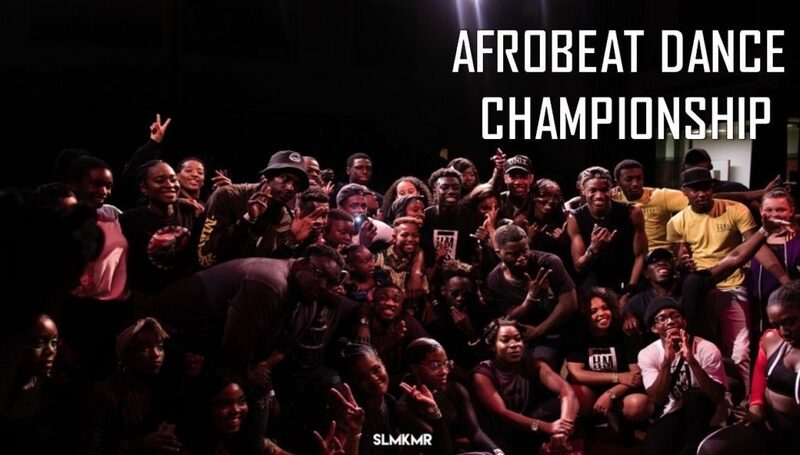 Homebros (aka George ‘Unkle TC’ Dukz and Kurtis ‘Kurtyswift’ Agyekum) first presented Afrobeats Dance Championships in September 2016. 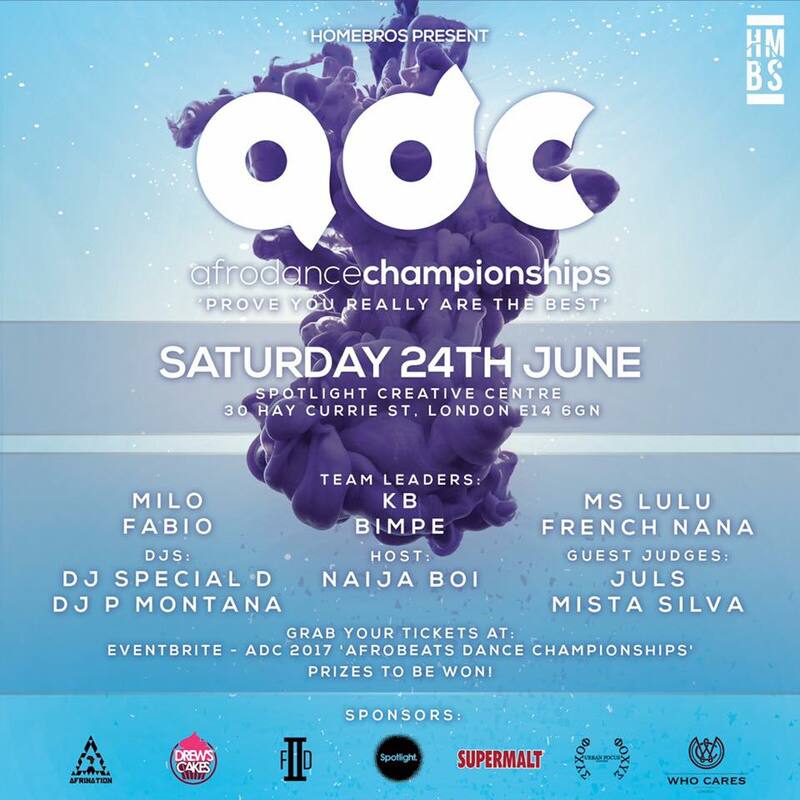 Returning in June 2017, ADC17 saw a new venue, bigger audience (there were well over 150 people in attendance) and new champions in all categories. There were also special guest appearances from popular artists GB and Mr Eazi. Film themselves free-styling for 30 secs-1min to Coupe Decale Instrumental by Deejay Raid-One. Each round was judged by HomeBros and guest judges @julsbaby_ and @mistasilvaf2d until the finals, which were then judged by the Team Leaders. Afrobeat Dance Championship 2017. Image by SLMKMR. This was the busiest category, with 17 dancers competing for the top spot. Judges were looking for technical skill, but placed a lot of emphasis on creativity and individuality in performance – having good foundations was definitely not enough. Particular highlights for me were Princess K, Denvar Spencer and Tommy Suave (click the names for videos) who not only met the above criteria, but had heaps of personality in their performances – without crossing the line into arrogance and whilst remaining incredibly supportive towards their fellow competitors. Seven pairs competed in the duos category. There were some strong contenders for the title and the energy in the venue was through the roof. A few of the competitors didn’t seem as well prepared as they could have been. For duos and groups I was expecting to see more set choreography: unison, canon, differentiation and so on. Instead, there was a pattern of each dancer in the pair performing a solo whilst their partner cheered them on. Which is not to say this doesn’t have value, and this wasn’t the case for all the duos competing, but a structured choreographic element is perhaps worth considering for future development of the category. The winners were the youngest duo competitors and had a perfect balance of choreography and independent free-styling – definitely ones to watch for next year! Duos Winners: Izaiah & Omarion (videos below). The smallest category of the night, five groups (of between three and five dancers) went head to head with up to two rounds each. Across solos, duos and groups, dancers of all ages were pitted against each other – with 8-12 year olds competing adults and absolutely holding their own. For this category, we saw choreography, tricks and partner work – with the winners demonstrating all this tied with a not-so-quiet confidence that secured their victory. ADC17 was a roaring success. I was completely blown away by the standard of the competitors, which is a real credit to Homebros and the students they (and others) train and support. As with Dances of the African Diaspora more generally, movement is seen as an integral part of the community. Dance serves a purpose, whether to celebrate, to show off, to grieve, to give thanks – and creates equal space for people across generations to demonstrate what is known as ephebism, a sense of youthfulness or readiness in the body translated from the energy of the music or from the community supporting you. The Afrobeats scene in London (and globally) is growing quickly. Through this event, Homebros are providing a unique platform for UK dancers to showcase their skills and learn from each other, tailored to the genre they are celebrating, without the vibe (or ‘The Vim’) being compromised. I couldn’t write this post without also sharing a clip from Homebros demo (below). Once again, a massive BIG UP! to the team, while we wait impatiently for ADC18, get your fix at Homebros regular weekly class here.